Dr. Haugeto has worked with Litchfield Veterinary Hospital for many years as a relief veterinarian. We welcome her expertise and compassion. Dr. Kirstin Haugeto grew up in Sussex County, New Jersey, and raised three puppies in the 4H program associated with the Seeing Eye in Morristown, NJ. She worked at her hometown veterinary hospital as a teenager, and at two 4H summer camps, teaching children about farm animal care and husbandry. This included raising calves, shearing sheep, harnessing and driving oxen, and many other related activities. She continued to pursue a career in veterinary medicine following these experiences. She attended college at the University of Illinois at Champaign-Urbana, and graduated with the degree of Bachelor of Science in Liberal Arts and Sciences (a degree in Ecology, Ethology and Evolution); she graduated with honors from the Campus Honors Program as a Chancellor's Scholar. She was inducted into two honor societies as an undergraduate, Alpha Lambda Delta and Phi Zeta Sigma. This was followed by a Doctor of Veterinary Medicine degree in 1995, graduating with Honors. 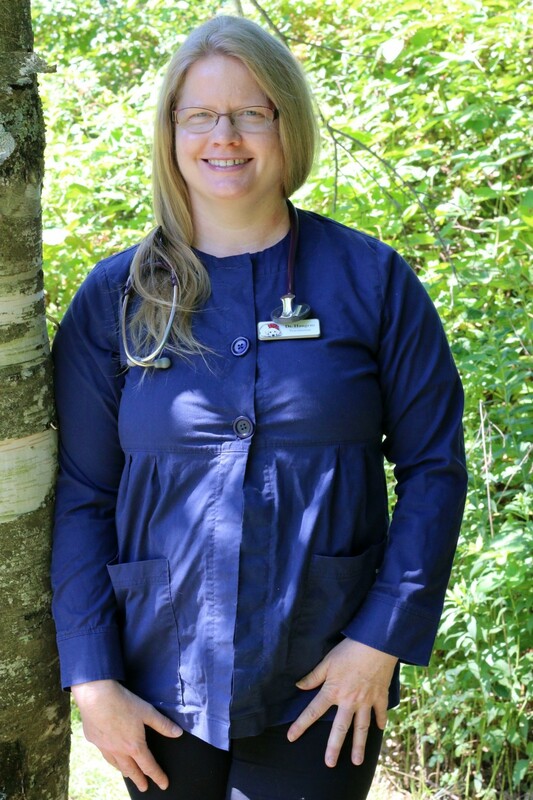 She worked in the Wildlife Ward for several years while in vet school, including the long term care of a non-releasable Red Tailed Hawk and an American Kestrel. Dr. Haugeto has practiced small animal medicine and surgery in New Jersey, Maryland, New York and Connecticut. She moved to Connecticut in 2008 to be closer to her family. She now works at several hospitals in New York and Connecticut, and occasionally returns to work in Maryland as well. She enjoys internal medicine, dermatology, soft tissue surgery, dentistry, and all aspects of general practice. Dr. Haugeto has been a member of the AVMA (American Veterinary Medical Association) for over 21 years, and a member of the CVMA (Connecticut Veterinary Medical Association) since 2008. She attends the North American Veterinary Conference every year, and enjoys continuing to learn and explore the world of veterinary science. Dr. Haugeto has several family members in the Newtown area, and also enjoys travelling to visit other family members in England whenever possible. She enjoys hiking, running, gardening, reading, and keeping up with her antique (circa 1820) house. Her current pets now include an adopted male domestic short hair named Merlin; and a rescued Abyssinian named Saphira.